It’s an organization you may have never heard of, but it’s saving the lives of our favorite four-legged friends. The Magic Bullet Fund provides financial assistance for people who have a dog with cancer and cannot afford the treatment. According to the Magic Bullet Fund, cancer treatment can cost an upward of $6,000. 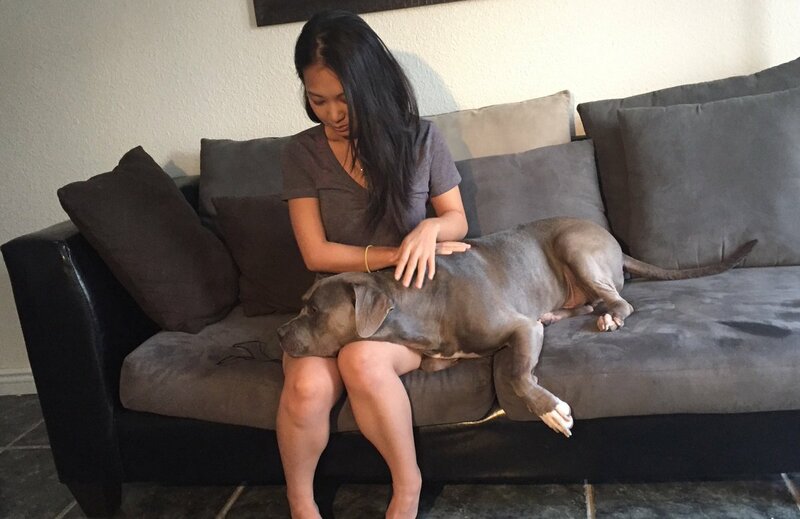 A Las Vegas woman says her dog, Blue, is fighting but she needs a little extra help. “[He’s] energetic. He’s very happy. He’s always wagging his tail,” she said. It wasn’t always couched cuddles and smooches for Blue. He had a rough start to life. Frances rescued him after fostering him, to keep him out of the shelter. She said he, “was stuck in the bathroom for a few years.” He never showed the mistreatment of his past though. “All he wants is just love,” she said. On Blue’s sixth birthday, she took him to the vet because he was vomiting and wouldn’t eat. It was cancer. “It just feels like it isn’t fair because he’s had such a tough life,” Frances said. She said he was doing really well, but she had to skip a treatment because she didn’t have the money. He relapsed and has to start weekly treatments again. The Magic Bullet Fund is helping by contributing funds and raising money so Blue can finish his treatment. The campaign has until June 3 to raise $3,500. There’s a long way to go. “You have to try and help them if you possibly can,” said Founder Laurie Kaplan. She started the non-profit in 2005 after her dog, Bullet, beat cancer. “While Bullet was going through his chemotherapy I ran into so many people who had a dog with cancer, but just couldn’t afford to pay for treatments,” she said. The organization has helped more than 600 dogs receive treatment, all through donations.